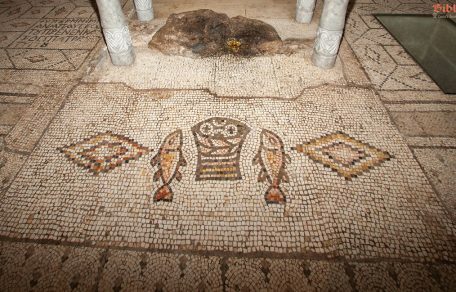 Heptapegon (modern Tabgha), on the northwestern shore of the Sea of Galilee, is the site of the multiplication of the loaves and fishes (Mt 14:13-21; Mk 6:34-44; Luke 9:11-17; John 6:1-14). The church that was built here to commemorate the miracle performed by Jesus, was built on the ruins of a 4th century church. 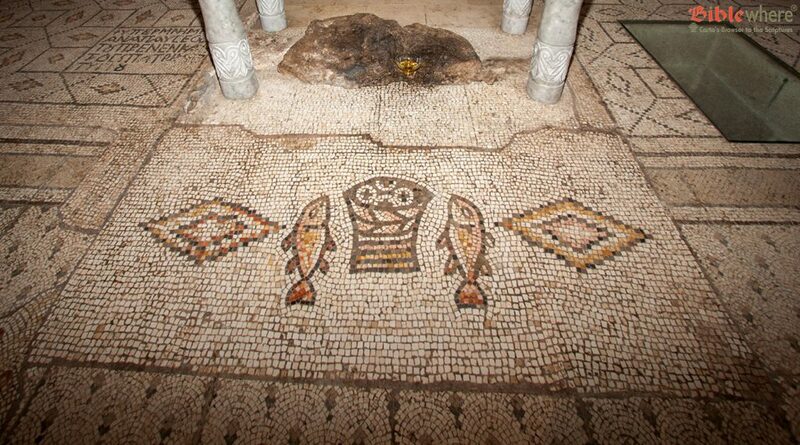 A beautiful 5th century mosaic floor, depicting a lake with fowl and flora, has been preserved from the ancient church.